Imagine a place that makes you feel as free as a bird. Imagine a place where getting there is worth whatever it takes. Imagine a place that makes you feel like it's always been your destination. Imagine a place made out of pure imagination. 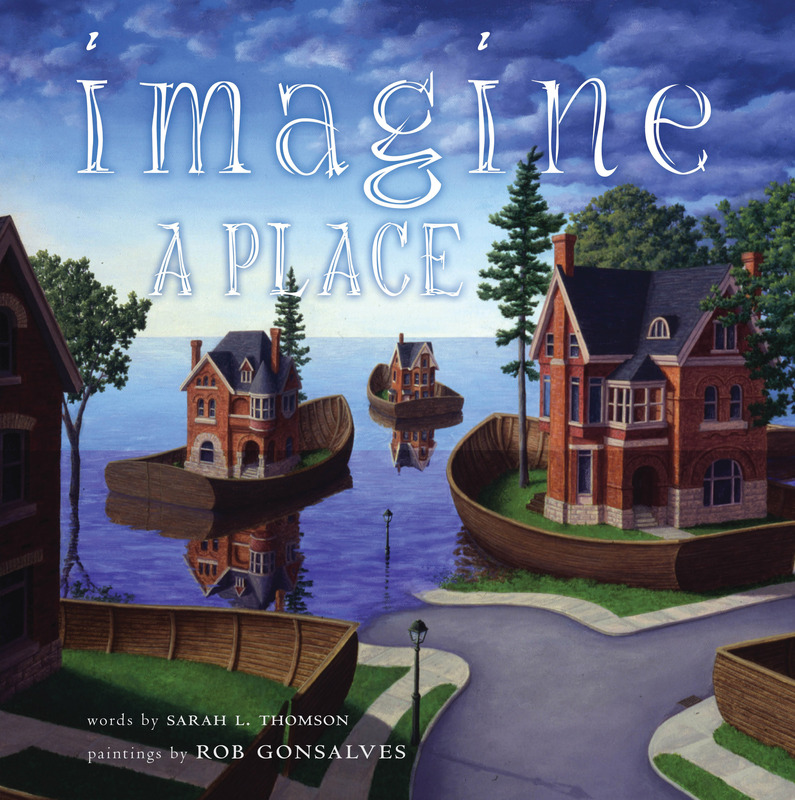 Imagine a Place is a gorgeous companion to the critically acclaimed Imagine a Night and Imagine a Day, and reminds us that imagination is powerful enough to take us anywhere we want to go. And Rob Gonsalves's exquisitely conceived paintings leave you in awe...of his imagination.